Lanwehr joins three decades of groundbreaking entrepreneurs in manufacturing. 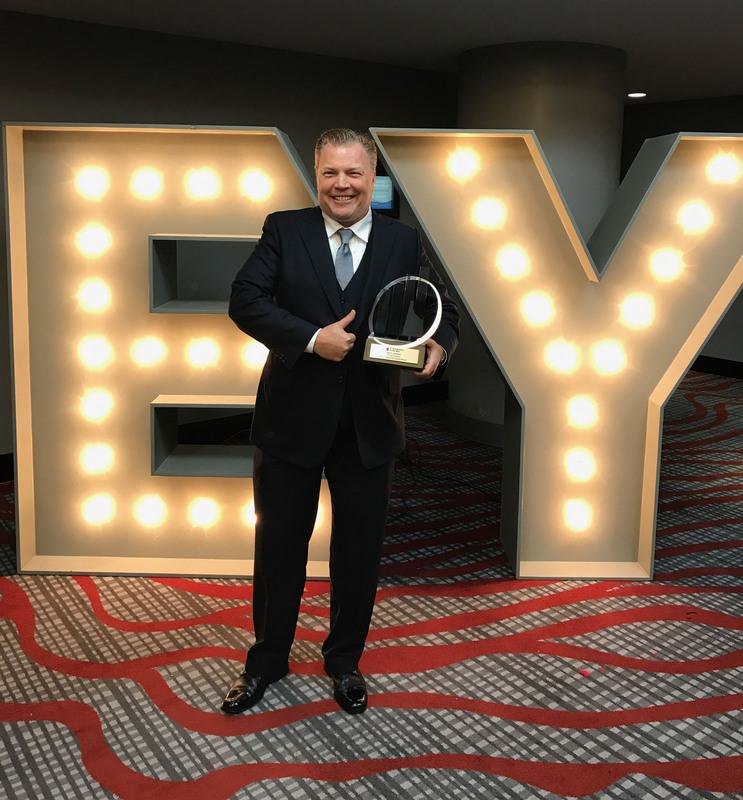 Louisville, KY, June 29, 2017 – EY today announced that Mark Lanwehr, Founder and Owner of Car Keys Express, received the Entrepreneur Of The Year® 2017 Award in the manufacturing category in the Ohio Valley region. The award recognizes entrepreneurs who are excelling in areas such as innovation, financial performance and personal commitment to their businesses and communities. Lanwehr was selected by an independent panel of judges, and the award was presented at a special gala event at the Hyatt Regency on June 15 in Cincinnati. As an Ohio Valley region award winner, Lanwehr is now eligible for consideration for the Entrepreneur Of The Year 2017 national program. Award winners in several national categories, as well as the Entrepreneur Of The Year National Overall Award winner, will be announced at the Entrepreneur Of The Year National Awards gala in Palm Springs, California, on November 18, 2017. The awards are the culminating event of the Strategic Growth ForumTM, the nation’s most prestigious gathering of high-growth, market-leading companies. Founded and produced by EY, the Entrepreneur Of The Year Awards are nationally sponsored in the US by SAP America, Merrill Corporation and the Ewing Marion Kauffman Foundation. In Ohio Valley sponsors also include Frost Brown Todd, PNC Bank, Valuation Research Corporation, CincyTech, Cincinnati Business Courier, Columbus Business First and Louisville Business First. EY is a global leader in assurance, tax, transaction and advisory services based in London, England. The insights and quality services we deliver help build trust and confidence in the capital markets and in economies the world over. We develop outstanding leaders who team to deliver on our promises to all of our stakeholders. In so doing, we play a critical role in building a better working world for our people, for our clients and for our communities.